DONATION – Step 1 of 2 ... You will be presented with a confirmation and select a giving method on the next screen. Devil Tech Team 1559 of Victor, NY is proud to support MLD Foundation in memory of Trey Butler. In the 2nd year of “The Team 1559 Campaign” to raise funds and awareness for the MLD Foundation, we hope to collect at least 250 donations of $15.59 each. On March 12, 2016, Trey Butler passed away from metachromatic leukodystrophy (MLD) at the young age of 19. He left this world just a few hours after Team 1559 won the Pittsburgh Regional Championship. 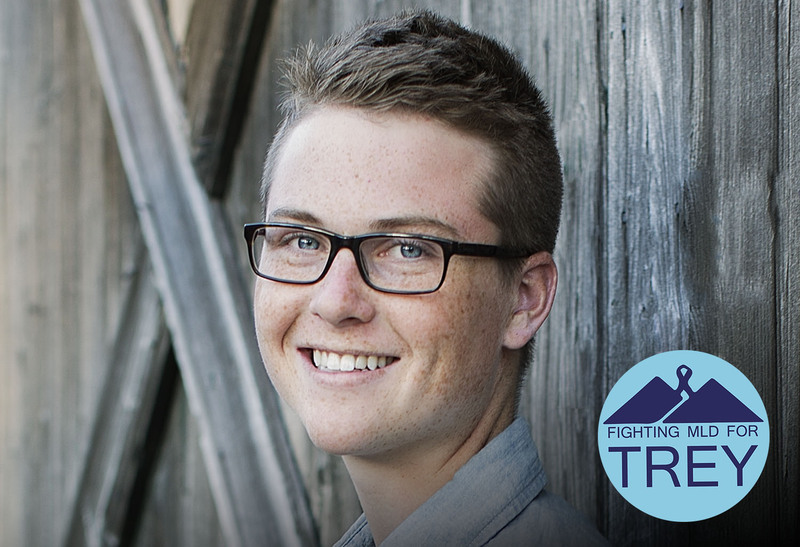 Trey’s legacy is one of passion for engineering, pride in his robotics team and love for his family and friends. Trey was a kind, selfless and compassionate young man who was highly respected by his teammates, teachers and mentors. He was equally as humble, thoughtful and good-humored, and he is greatly missed by all those who knew him and loved him. He continues to touch the lives of others as we remember how brave he was, how much he inspires us to embrace every opportunity available to us and how important it is for us to share our own gifts with the world. To help us reach our goal, please make a donation below in Trey’s memory. Thank your tax deductible donation to the MLD Foundation. Information on this form will only be used to properly receipt your donation and will never be sold, bartered or shared with any other organization. If you wish to donate by paper check we request you fill in the following block and then note the donor record ID on your check. Our mailing address and the donation ID will be supplied on the next screen.